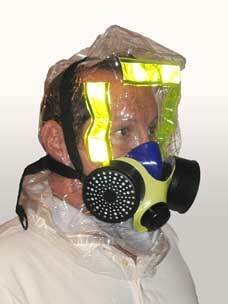 American-Certified Smoke Mask / Escape Respirator! The iEvac Smoke Mask/Fire Escape Hood has earned certification to the only American Standard for a smoke/fire evacuation hood. It protects against fire-related gases including carbon monoxide, hydrogen cyanide, smoke, and hydrogen sulfide. The iEvac contains a HEPA filter that removes more than 99.97% of sub-micron particles such as ebola, anthrax, smallpox, and radioactive particles. One universal size can be put on in under 30 seconds. The hood features easy-to-breathe dual filters and is compact, lightweight, and vacuum sealed in a foil bag for a long shelf life. Its unobstructed field of view can be used with eyeglasses, beards, and long hair. American certified by both the US Department of Homeland Security and the American National Standard for Smoke Escape Devices, the iEvac® Smoke / Fire Escape Hood offers great protection and features to pilots looking to protect themselves during an in-flight fire or smoke emergency. The clear hood offers unobstructed views in all directions while the dual filters protect against all manners of toxic gases, including carbon monoxide. The iEvac® comes in a universal size, is maintenance free, and is easy to don quickly. The compact package is easily carried in the cockpit and weighs just 1.4 lbs. 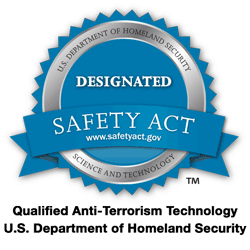 Designated as a Qualified Anti-Terrorism Technology by the U.S. Department of Homeland Security, Office of the Safety Act. The first and only hood Certified to the American National Standard for Smoke Escape Devices  Respiratory Protective Smoke Escape Devices (RPED). As this product is a primary safety device, returns are not accepted by the manufacturer. Our innovative new wide light emission LEDs produce a 360° beam of light (41 candela) allowing for visibility of over 3.5 miles. Our cool white light has no yellow tinting which allows for a more visible light beam that can be seen at greater distances. With an energy efficient microprocessor and redesigned electronics, the Firefly PRO boasts maximum operation life in the harshest of conditions. With a single set of AA alkaline batteries, the Firefly PRO will continuously strobe for over 56 hours or use the Steady-On feature for 28 hours. That is twice as long as our competitors and exceeds USCG and SOLAS requirements by over 48 hours. Click the button below to add the iEvac Smoke / Fire Hood (30 minute protection) to your wish list.